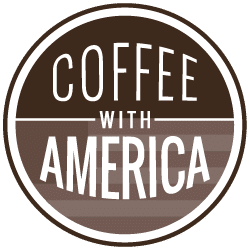 The Big Game is coming to Atlanta, which just happens to be the home of Super Chef Jernard Wells, the Food Network Favorite best known for his fun personality and for being “The Chef of Love” because he believes food and love go hand in hand. 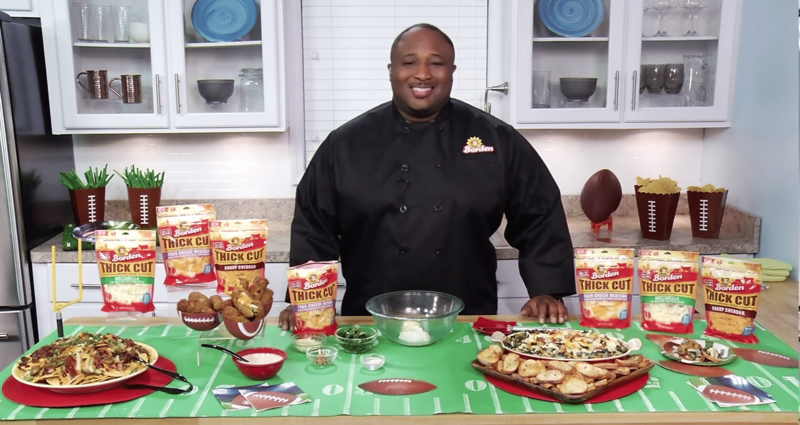 Chef Jernard teams up with Borden® Cheese to create some cheesy game day recipes and snacks to serve his guests. Let this super chef get your fans ready to party! In a medium bowl, mix Barbecue sauce, pull pork or chicken & cheddar cheese together. Spoon or use fingers to push mixture into the hollowed-out jalapeno pepper. Put the milk and flour into two separate small bowls. Dip the stuffed jalapenos first into the milk then into the flour, making sure they are well coated with each. Allow the coated jalapenos to dry for about 5 minutes. Dip the jalapenos in milk again and roll them through the breadcrumbs. Allow them to dry. In a medium skillet, heat the oil to 365 degrees, Deep fry the coated jalapenos 3 to 4 minutes each, until golden brown. Remove and let drain on a paper towel or wire rack. Serve with Ranch dressing. Mix the smoked paprika, garlic power, brown sugar, dry mustard, and salt together in a small bowl. Rub the spice blend all over the pork. Preheat the oven to 350 degrees F. Put the pork in a roasting pan and bake for about 3 hours. Roast the pork until it falls apart. Remove the pork roast from the oven and transfer to a large pan. Allow the meat to rest for about 10 minutes. Using 2 forks, shred the pork by holding the meat with 1 fork and pulling it away with the other. Put the shredded pork in a bowl. Pour 1/2 of the sauce on the shredded pork and mix well to coat. To make the barbecue sauce: combine the Apple Juice, mustard, ketchup, brown sugar, garlic, salt, hot sauce, and black pepper in a saucepan over medium heat. Simmer, stirring, for 10 minutes. Mix together Four Cheese Mexican Thick Cut Shreds, Mozzarella Thick Cut Shreds, spinach, and bacon. Combine remaining ingredients with spinach mixture. Serve with Chips, crackers or toasted bread. Mound tortilla chips in a pile on a platter. Sprinkle with Seasoning. Spread chopped pork, beef or chicken on top of chips. Pour cheesy Barbecue Sauce onto meat and chips. Top with more cheese. Lightly sprinkle more Barbecue Seasoning onto cheese. Top with jalapenos and green onions.